At the 2018 MIC, you’ll find sessions that will help you not only get the most out of the solutions you use today, but better understand and plan for the challenges that tomorrow may bring. Our Member-led sessions have become a vital piece of the conference and the knowledge they impart is invaluable. 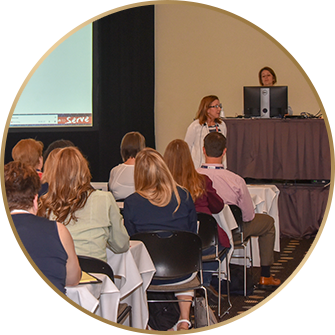 These sessions feature tips, tricks and hints that NISC Members have picked up along the way, helping them gain efficiency in their daily tasks and better serve their customers. The 2018 MIC will also feature NISC subject matter experts providing the latest and greatest updates on NISC’s solutions and services and how they can help address issues facing the industries we serve. Copyright 2018 © All Rights Reserved. NISC is a registered trademark of National Information Solutions Cooperative, Inc.